Details revealed of Restaurant Marketer & Innovator day one line-up: Details have been revealed of the day one line-up of Restaurant Marketer & Innovator European Summit, which is returning for its second year. 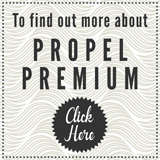 The two-day event, a partnership between Propel and Think Hospitality, will feature more than 40 speakers with a unique blend of senior marketers, business leaders and entrepreneurs. Day one will feature Think Hospitality managing director James Hacon, who will share campaigns and innovations raised from the past year. The speaker line-up features KAM Media insight director Blake Gladman; Kamila Sitwell, founder of Divine Eating Out; Richard Dickson, head of partnerships at Carbon Free Dining; Jon Knight, chief executive of Jamie Oliver Restaurant Group; Inception Group head of marketing Simon Allison; Lunar Lemon founder Craig Melvin; Abokado head of marketing Vineeta Anuj; Ben Calleja, co-founder of Fast Fine Restaurant Group; Feya founder Zahra Khan; and Hannah Clark, Me:Mo Interactive account director. Chris Miller, founder of the White Rabbit Fund, will talk to four concept founders – James Hennebry (Rosslyn Coffee), Yasmine Larizadeh (The Good Life Eatery), Rik Campbell (Kricket) and Loui Blake (Kalifornia Kitchen) – about their entrepreneurial journey. Anders Houmann, of Victor Group (Denmark); John Rigos, chief executive of Aurify Brands (the US); Martti Siimann, chief executive of NOA Restaurant Group (Estonia); and Jonathan Sharp, of Hilton (UK), will reveal how to create concepts that customers love. Meanwhile, UKHospitality chief executive Kate Nicholls will host a panel featuring Elliotts managing director Anthony Knight, SSP senior commercial manager Claire Small, Be At One brand manager Giles Denning, and Stacey Plaine, senior F&B marketing manager of Marriott International, to discuss the future for marketing in the sector. A new industry think-tank – Restaurant Of The Future – will define the future of eating and drinking out. The panel will feature Angela Malik, strategy director of Think Hospitality; Russell Danks, Punch marketing and strategy director; Storm Fagan, Just Eat head of product; AllDay Industry (New York) founder David Helbraun; The TMRW Project partner Emma Underwood, and Kamilla Seidler, of The Expedition (Bolivia). Tickets for the two-day conference, which will take place on 16 and 17 January at One Moorgate Place, London, cost £575 for operators and £845 for suppliers. Group ticket packages are available when purchasing three tickets or more. Tickets can be purchased by emailing Anne Steele, of Propel, at anne.steele@propelinfo.com or calling her on 01444 817691. Hospitality companies rank high in Sunday Times Top Track 100 list: Manchester-based Mission Mars has been ranked fifth in The Sunday Times Virgin Fast Track 100, with a 147.37% rise in annual sales growth during the past three years. Sales hit an annualised £27.7m in September, while the company raised £10.2m from the BGF in July to fund expansion of its Albert’s Schloss and Rudy’s Neapolitan Pizza brands. Gin distiller Warner Edwards was ranked sixth (142.58%), while Indian street food restaurant Mowgli, which is led by Nisha Katona and backed by investment company Foresight Group, was in 17th place with 106.05%. Brewpub operator Brewhouse & Kitchen was 19th (103.82%), with Urban Pubs and Bars, led by Nick Pring and Malcolm Heap, in 28th (85.05%). Heap said: “Being recognised in this list coupled with our recent acquisition of Salt Yard Group is a remarkable achievement and a perfect finish to the year. We’re extremely proud of the talented staff within each of our sites that work incredibly hard to make the Urban brand what it is and this shows what a team effort it has been since we started in 2014. This accolade showcases a bright future for our company.” Other hospitality companies on the list include Ennismore (30th, 84.12%); Beavertown (35th, 77.16%); Boxpark (36th, 75.77%); Flat Iron (39th, 75.05%); Five Guys (43rd, 72.38%); Daisy Green (52nd, 66.49%); Homeslice (65th, 56.65%); BrewDog (71st, 55.59%); Honest Burgers (91st, 47.76%) and Giggling Squid (99th, 45.77%). Five Guys is the largest employer in the list, with 2,086 staff. In its 22nd year, the Fast Track 100 ranks Britain’s private companies with the fastest-growing sales. Former Ping Pong chief executive opens Taiwanese street food restaurant in Marylebone: Former Ping Pong chief executive Paul Sarlas has launched Taiwanese street food restaurant Bao & Bing in Marylebone. The venue has opened in Paddington Street inspired by the “buzzing night street markets of Taipei and Jiufen” and combines centuries-old family recipes with dishes Sarlas and his wife discovered while travelling through Asia. The 40-cover dining room offers lunch and dinner menus, a 1950s and 1960s industrial design and Taiwanese trinkets, while the downstairs tea room and cocktail bar offers a “more relaxed, social drinking environment”. Bao & Bing’s menu includes bao buns with fillings such as pork belly with chilli, coriander and chiu chow mayo, while customers can watch speciality wheelcakes (waffle-type batter cakes traditionally filled with azuki bean paste) made at the bar. There are also hand-pulled noodles made using a 2,000-year-old method, and desserts such as Dan Bing Popiah (hand-made crepes filled with organic ice cream, peanuts and cilantro). The drinks list includes Taiwanese-inspired cocktails, alcoholic ice lollies, bubble tea, wine and beer. Last year, Sarlas launched Japanese burger concept Ichibuns in Soho in partnership with former Nobu head chef Robin Leigh. Barkby Group adds South Downs inn to portfolio: Barkby Group has added an 18th century inn in the South Downs to its portfolio. The company has taken on The George in Burpham, near Arundel, in West Sussex. The property is thought to have opened in 1736 and is owned by Burpham & Warningcamp Pub Company, which was founded when three local businessmen – David King, Bill Tustin and Simon Lay – bought the pub in 2013 when it was on the brink of closure. Barkby Group has agreed a ten-year lease for the premises. The company said the deal represented “further implementation of the company’s strategy to develop a large portfolio of premium hospitality properties”. Burpham & Warningcamp Pub Company chairman Robert Essex told Insider Media: “As one of West Sussex’s best-loved and award-winning community-owned pubs, it was essential The George found a like-minded and successful company to manage its day-to-day operations. In Barkby Group, we have found the ideal partner to enhance The George’s reputation. We look forward to a long and happy association.” Barkby Group chief executive Rupert Fraser added: “We are thrilled to add The George to our growing portfolio. The venue offers customers excellence in food and service, showcasing the best produce with a convivial atmosphere and modern style, which fits perfectly with our proposition and will be a strong addition to the group.” Barkby Group was formed in June on the back of a reverse takeover of Cotswolds-based gastro-pub chain Turf To Table by Sovereign Mines of Africa. Flight Club lands in Victoria for third London site: Social darts concept Flight Club has opened a site at the Nova development in Victoria for its third London venue and fourth UK site in total. Flight Club Victoria has launched in Sir Simon Milton Square as the company’s largest venue to date, offering 18 oches and a 2,500 square foot outdoor space. Founder Steve Moore said: “We are incredibly excited for this site and we’re always being asked to bring social darts to more locations. Flight Club Victoria provides the perfect opportunity to do this. The Nova development is a landmark site in the heart of Victoria with excellent transport links.” Flight Club’s other London sites are in Bloomsbury and Shoreditch, while the company launched its first UK site outside the capital, in Manchester, earlier this month. In September, Flight Club lodged plans for a venue in Birmingham. The company, which also has a venue in Chicago, is looking to launch shuffleboard concept Electric Shuffle in London next year. Breakfast Group founder launches Mayfair cocktail bar and kitchen: Breakfast Group founder Eric Yu has launched a cocktail bar and kitchen in Mayfair. Yu has teamed up with Martin Malley, who owns four-strong wine bar and restaurant group Planet Of The Grapes, and Megs Miller and Dré Masso, of bar consultancy Communidad, to open Fam Bar & Kitchen in Duke Street. The venue, which seats 50 inside and 20 on a small terrace, has taken over a site previously occupied by Tony Conigliaro’s Bar Termini Centrale. Fam Bar & Kitchen offers locally sourced and rescued ingredients and materials, with cocktails such as Sir Duke (London vodka, kiwiberries, nettle cordial, Bloomsbury pastis and house citrus) and non-alcoholic Seedlip Grove 42. The kitchen is run by Tim Ross-Watson, formerly of The Goring and Restaurant Gordon Ramsay, who has created a bar snacks menu that includes mini-cuppa soup made with butternut squash, roasted garlic and white truffle oil with buttered milk-bread soldiers; and Dingly Dell ham and cheese toasties on homemade bread with tomato compote. The venue also has its own library of vinyl records, Hot Dinners reports. Master sommeliers reveal further details of hospitality members’ club Trade to open in mid-January: Master sommeliers Xavier Rousset and Gearoid Devaney have revealed further details of Trade, a hospitality members’ club that will launch in Soho in mid-January. The 80-cover venue will open in Frith Street as a socialising and networking space focusing on quality food and drink. The venue will feature a central bar with lounge and restaurant seating plus a private dining room. Former Ritz chef and Masterchef: The Professionals finalist Sven Hanson-Britt will produce a menu of “modern classics and inventive options”, while the kitchen will remain open to fit in with members’ variable working hours. Hanson-Britt said: “We have put together a menu our friends and colleagues will enjoy eating during or after a busy day.” Rousset and Devaney have curated Trade’s wine and cocktail lists, with 100 bins, a constantly changing selection of fine wine and ten signature cocktails. Trade will also run a programme of events including wine and spirit tastings, bar takeovers and round tables. Members will range from chefs, sommeliers, bartenders, hoteliers and restaurant owners to food critics, journalists and food and drink producers. Rousset and Devaney opened French fine dining restaurant Cabotte in the City of London last year, while Rousset also owns Blandford Comptoir in Marylebone and Comptoir Cafe & Wine in Mayfair. BeerHeadZ opens fifth site, in Melton Mowbray: Micro-pub entrepreneur Phil Ayling has opened a fifth site for his BeerHeadZ brand, in Melton Mowbray, Leicestershire. Ayling has taken over the lease of a grade II-listed building in King Street. The town centre property most recently housed Melton Toys and is the oldest secular building in Melton Mowbray, with parts dating to 1330. Ayling told the Melton Times: “We look forward to serving some of the best beers produced from home and abroad. We hope we can quickly become part of Melton’s food and drink culture.” BeerHeadZ currently operates pubs in Grantham, Lincoln, Nottingham and Retford. The concept offers cask beer, craft keg, real cider, bottled and canned beer, wine, hot drinks, free Wi-Fi, free room hire and an option to bring your own food. Christian Guild Hotels adds Leicestershire site to portfolio as it moves into conference and weddings market: Christian Guild Hotels had added a site in Leicestershire to its portfolio as it moves into the conference and weddings market. The company has acquired Hothorpe Hall & The Woodlands in Theddingworth in a seven-figure funding deal provided by Allied Irish Bank (GB). Hothorpe Hall offers 55 en-suite bedrooms and 11 meeting spaces, while there are 22 en-suite bedrooms in The Woodlands. Both buildings have dining and bar facilities. Chairman John Moffoot told Insider Media: “This is an exciting new venture and we are delighted to add Hothorpe to our portfolio as it provides us with a wider market in conferences and weddings alongside our more traditional holiday venues.” Christian Guild Hotels also operates the Willersley Castle Hotel in Cromford, Derbyshire; Sidholme Hotel in Sidmouth, Devon; and Treloyhan Manor Hotel in St Ives, Cornwall. In August, it sold the Abbot Hall Hotel in Cumbria and Lindors Country House Hotel in Gloucestershire to property investment company Carlauren Group from a combined guide price of more than £2.9m. Soho’s Roundhouse reopens as premier bar, club and lounge following £1m restoration: Soho’s iconic Roundhouse has reopened as premier bar, club and lounge Soho Residence following a £1m restoration. The Wardour Street venue now has a capacity of 350 spread across three floors. Built in 1892, the Roundhouse previously hosted blues and skiffle clubs, featuring performers from around the world. The restored space offers a gin parlour and botanical cocktail bar and opens until 3am six nights a week. The basement Festival Club features festoon lighting alongside craft beer and cocktails, while the first-floor gin parlour features high ceilings, tall windows and sofas. Both spaces are available for hire.